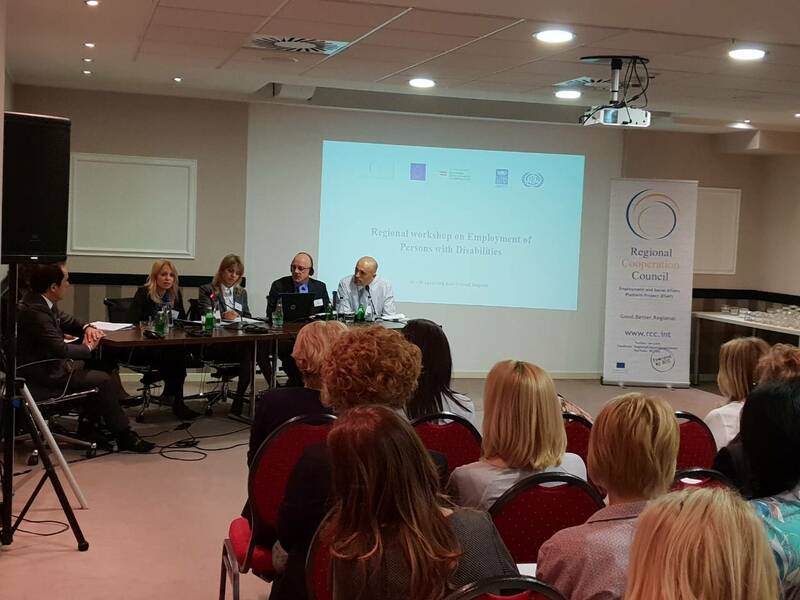 Belgrade – The Regional Workshop on Employment of Persons with Disabilities (PWD) in the Western Balkans (WB), which was held in Belgrade on 19-20 April 2018, was organised jointly in the framework of two regional projects: Regional Cooperation Council’s (RCC) Employment and Social Affairs Platform (ESAP) and Promoting Inclusive Labour Market Solutions in the Western Balkans. The Workshop focused on legal and strategic framework for professional rehabilitation and employment of PWD in Serbia and other Western Balkans economies; policy measures and labour market interventions for the activation of PWDs’ incentives and employers’ approach to employment of PWD; implementation of company-wide disability inclusion policies and promotion of valuable initiatives; and success factors as transferability, lessons learned and recommendations. The participants engaged in a constructive dialogue, heard exchange of views between government representatives and employers’ organizations, shared innovative practices in inclusive services as well as lessons learned from good practices in the Western Balkans and world-wide. This two-day workshop brought together beneficiaries from Western Balkans economies, from different sectors: representatives of the government institutions dealing with the employment and social protection of persons with disabilities, public employment services (PES), and employers’ organizations. Under ESAP, the WB economies have agreed to implement peer reviews on selected priority employment policies or measures. The peer reviews aim to facilitate learning, discussion and capacity building on policy development and implementation. They represent an in-depth assessment of an employment policy in one economy by representatives of other economies from the WB, with the goal of providing feedback to the host institution to improve its performance within that policy field and for the guest institutions to learn from the host country’s experience. 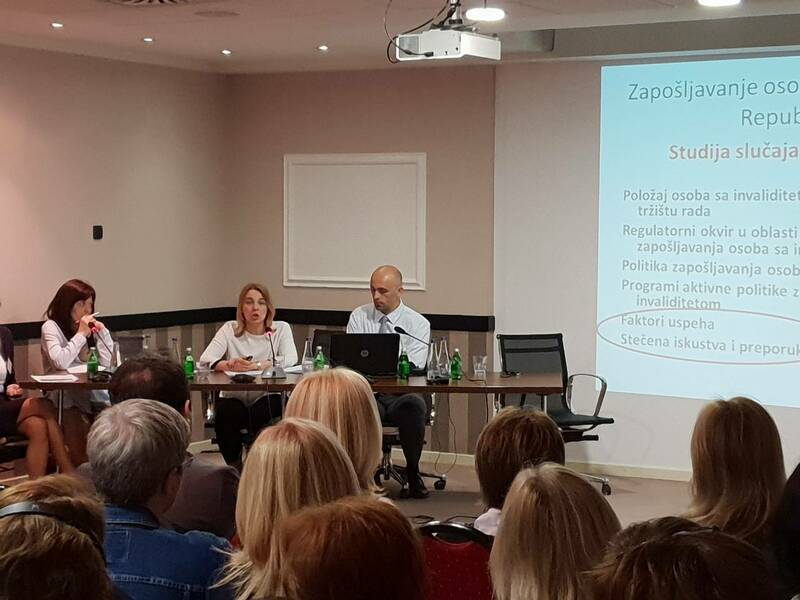 Workshop in Belgrade is the second peer review in the series of peer reviews organized by respective ministries of labour and public employment services in the Western Balkans region and supported by ESAP. 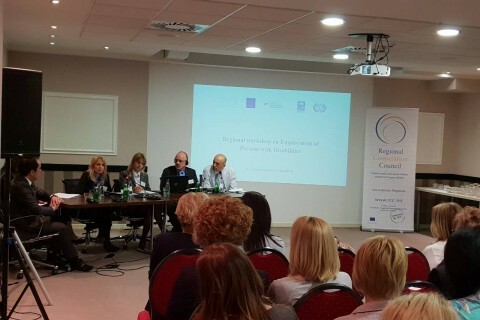 Kosovo*has already hosted peer review on self-employment programmes. Albania will host peer review on the topic of job training programmes for youth with no qualifications, BiH will host peer review on local employment partnerships,Montenegro on youth employment and The Former Yugoslav Republic of Macedonia on internship programme. Peer reviews are aimed at development of exchanges of information and best practices, provision of comparative analysis and advice as well promotion of innovative approaches and evaluation of experiences. Implementation of peer review is intended as a flexible mechanism for exchanging experience and mutual learning and, for this reason, ESAP has invited and encouraged representatives of ministries of labour, public employment services and other social partner organizations in the Western Balkans region to take active part in the forthcoming peer review exercises in neighboring countries. ESAP aims to strengthen regional cooperation and institutional capacities of national administrations,employers’ and workers’ organizations, enabling them to develop and effectively implement labour market and social policy reforms in their EU enlargement process. The project is jointly implemented by RCC and International Labour Organisation (ILO) and funded by the European Union. Promoting Inclusive Labour Market Solutions activity aims to assist the Western Balkans economies in their efforts to enhance the inclusiveness of their labour markets. To achieve this, the project promotes integrate approaches to employment and social policies, as well as collaborative practices in service provision between public employment services, centres for social welfare, employers’ organizations and civil society organizations. The project is jointly implemented by United Nations Development Programme (UNDP)and ILO and co-funded by Austrian Development Agency (ADA).